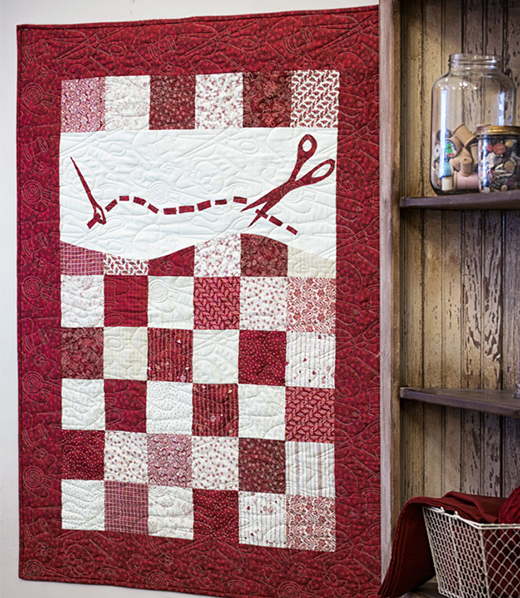 Jenny demonstrates how to make a quick and easy mini quilt wall hanging for your sewing room. She is using Heat N Bond Lite and 5 inch squares of precut fabric (charm packs). This particular charm pack is called The Little Things Charm Pack Robin Kingsley for Maywood Studios.